Camping in Croatia is the perfect choice for families looking for sun, sea and an unspoilt holiday location. Considering how little sunshine we get here in the UK, it’s easy to see why Croatia, with a minimum of 12 hours of sunshine a day, is fast becoming a tourist hot-spot! One of the top reasons to go camping in Croatia is the number of places you can visit in one trip. You can head out on organised boat trips or ferries to discover spectacular beaches on Croatia’s many exotic islands. 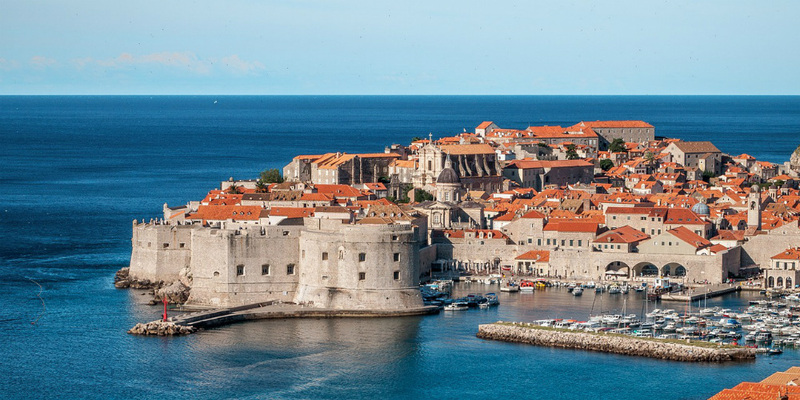 With plenty of unforgettable architecture in the major cities like Pula, Split or Dubrovnik, you’ll find it hard to choose just one day-trip (and you don’t have to!). Croatia’s rocky coastline will see you sunning yourself on the pebbles in some of the best spots. But who’s to complain when the water is warm and the views of the Adriatic Sea are so glorious? To find your perfect campsite in Croatia please use our interactive campsite finder, call our knowledgeable customer advice team on 0345 268 0827, or explore the individual campsite pages below. We’ve some of the best campsites in Croatia on the Istrian peninsula and the Dalmation Coast. Camping Zaton is ideal for families as it has a great pool complex, including a range of shallow pools for younger children, overlooking the stunning sand and pebbled beach below. Camping Solaris Camping Resort is a huge resort with plenty to do on site with three pools, a glamorous beachside bar, a wellness centre and even a Pirates Adventure Mini Golf course. Older kids and teenagers will enjoy the disco shaped like a pirate ship and the water park with six water slides. Camping Vranjica Belvedere is the ideal campsite for couples to relax with a restaurant serving up authentic Dalmatian specialties, a healthy juice bar and a pool overlooking stunning views of the beach and turquoise Adriatic water. Thinking of camping in Istria? Camping Park Umag is the perfect getaway with its onsite eco-park and direct access to a Blue Flag pebbled beach where you can relax in the sunshine or enjoy the water sports available. Camping Bijela Uvala is ideal for the whole family to relax, surrounded by peaceful pine forests and the soothing sounds of the nearby waves. Laze by the poolside or head to the massage studio while the kids take advantage of the site-run children’s club. Camping Val Saline is just a few minutes away from the must-see port town of Rovinj. It has a private beach in a protected nature area, guaranteeing you some of the purest, most natural water. Take a boat trip from Fazana to the Brijuni Islands. The beaches on the biggest island, Veli Brijun, are some of the best in Croatia and are fantastic for snorkelling. Go sightseeing in the Roman town of Poreč with it’s beautiful mix of Gothic, Romanesque and Baroque architecture - the centrepiece being the UNESCO listed 6th century Euphrasian Basilica. Spend the day in the Istrian capital Pula - well known for its iconic Roman Amphitheatre and architecture. Wander the pretty streets and soak up the atmosphere before relaxing on the long stretch of beach. Be amazed at Pula’s night time summer illumination show, the ‘Lighting Giants’. The show is a spectacular light display of 16,000 different colour combinations lighting up the cranes of the Uljanik Shipyard and is definitely not to be missed. Enjoy a family day out at the Krka National Park. The 73km Krka River and its glorious waterfalls are an utterly amazing sight. You can enjoy swimming in the lower lake in the crystal clear water as the Krka Waterfalls is the only National Park in Croatia where swimming is allowed. Go shopping in Croatia’s largest and most colourful flea market, Hrelić, in Zagreb. Described as a ‘great experience in itself’ the market sells everything from car parts and antique furniture to clothes, records and kitchenware. Visit the beautiful fortified city of Dubrovnik, which overlooks dazzlingly blue waters that are nothing short of postcard perfect. Sample fantastic local cuisine in between dipping your toes in the crystal clear sea and wandering the castle walls on a Game Of Thrones filming locations tour. The Dalmatian Coast has some completely breathtaking views with majestic mountains towering above the sparkling waters of the Adriatic. There are National Parks to visit and islands to hop around. Fans of the TV show Game of Thrones will recognise this region from the show as both Dubrovnik and Split are filming locations. 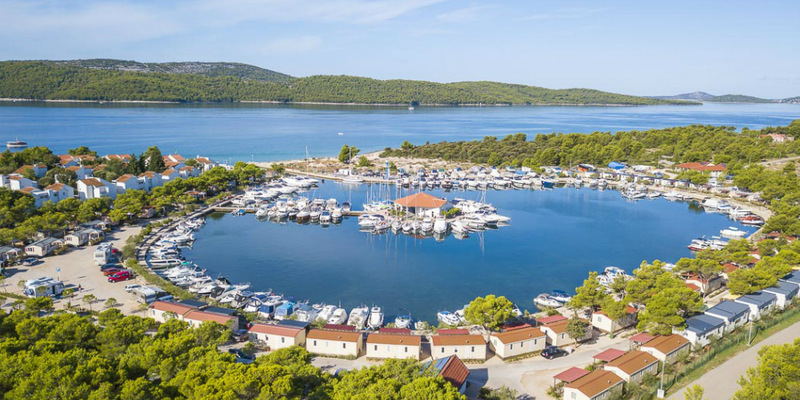 Many of our campsites on the Dalmation Coast are located near Zadar and Split, which both have airports with flights available to and from the UK. Istria is the largest peninsula in the Adriatic sea and has a strong Italian influence which is obvious in its amphitheatre, countless roman buildings, and cuisine. Camping in Istria is perfect for indulging in great food and wine, enjoying gorgeous pebble beaches and having epic adventures and experiences - like biking, gourmet food, wineries, olive oil tasting and outdoor and water sports. Pula airport is nearest to all of our Istrian campsites - making them perfect for a fly and drive holiday.